Discover Boating Canada has just launched a new safety app that is quickly becoming the ‘must have’ for Canadian boaters. It is designed to keep boaters, their friends and family safe while out on the water. 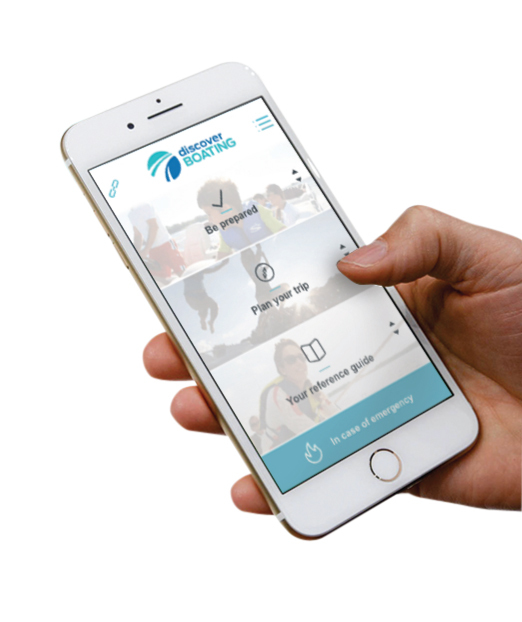 Regularly updated by recreation marine industry specialists, the Discover Boating Canada Safety App will ensure that Canadian boaters will have all the helpful and up-to-date information about safe boating practices in one place and easily accessible by a mobile device. It’s easy to use, it works online, offline and offshore – and is available from the Apple iTunes or Google Android store. DiscoverBoating.ca is the recreational boating resource for all boaters, from seasoned to novice. Covering all types of boating from power to sail | weekend to cruising, DiscoverBoating.ca is chalk full of information on boating education, different water sports, where to boat and great boating stories that explain the boating lifestyle.